Near North Palliative Care Volunteers are the most special persons in the world. Our volunteers share their very best with both clients and caregivers to help them achieve the highest possible quality of life each day. They ease the burden of dealing with a terminal illness and provide the clients and family with their compassion, time and energy. Our volunteers also support those who are bereaved. Whenever possible they work to alleviate physical, emotional and spiritual suffering. Our volunteers work hard to understand their concerns and help in any way they can to assist in providing relief and helpful end-of-life care and grief support. They step in where others flee. They listen, hold hands, read, talk or say nothing. All the while, they are there. A heart-felt thank you to our NNPCN volunteers! Interested in volunteering…? You can fill our Volunteer Application Form right now! Send us your info and someone from the office will get in touch with you soon. Our volunteers are the heart and soul of Near North Palliative Care Network (NNPCN). The emotional, spiritual and companioning care our volunteers provide to our clients and their families, every year, is an essential part of their journey, as they deal with terminal illness and end-of-life challenges, and also with their own feelings of grief and bereavement. What is it like to be a Palliative Care and Hospice volunteer? What is it like to be a Bereavement and Grief volunteer? As a volunteer, what would I do? Not sure about patient care, can I still volunteer? What is it like to be a hospice volunteer? 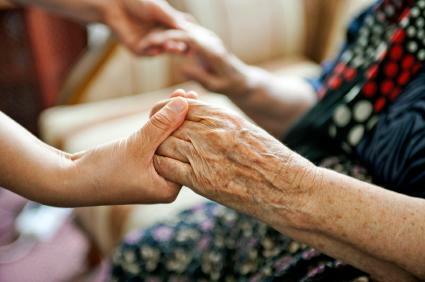 As a Palliative Care and Hospice volunteer, you have the privilege of serving families at a tender time when they are saying, “I love you,” “I forgive you,” ” thank you,” and “good-bye.” It’s a period of closure and a time of reflection. Many patients find it helpful to talk about their lives with an objective listener. They feel free to discuss events and issues with a volunteer that it may be difficult to share with their relatives or health providers. Far from depressing, Palliative Care and Hospice volunteers consistently describe the experience as one that is immeasurably rewarding. As a volunteer, you will experience the profound importance of small gestures: helping someone to stand up, gently sliding a cushion to support your client’s back and receive a smile, moisturizing dry lips with a Q-tip with lemon scent, just being there: small silent actions that give a broader meaning to life. As a Bereavement and Grief volunteer, you will be a supportive companion of another human being’s personal journey through grief. You will learn how to offer non-judgmental companioning, how to simply be there, as a witness and companion of someone else’s pain and healing. It is a personal journey and it is unique, it cannot be compared to anyone else’s pain. You will learn that there is no bigger grief or smaller grief, wrong grief or right grief: pain is pain, and only the person who feels it knows how much it aches and what it means to them. Our body, minds and souls have their own wisdom and they know what they need to heal. This is a personal journey, and as a volunteer you will witness, support and walk by the side of each of these human being in their journey through grief, towards healing. It is a beautiful, powerful, and unique journey. Every time. All credits go to the Canadian Virtual Hospice on Vimeo. Offer comfort measures for the terminally ill such as a calm and caring presence, relaxing music, reading a book to the client or simply listening. Offer relief for primary caregivers allowing them a period to rest or time to run errands. Write letters or making a scrapbook for the client to leave for their loved-ones. As a Bereavement and Grief Volunteer, you can conduct individual or group sessions with bereaved clients, to facilitate and support their journey through grief towards healing with your caring presence. You will offer you clients a safe space to grieve, free from the worries of “having to put on a brave face” for the world to see. You will create a safe space where tears are welcome, silences shared, and every manifestation of grief is compassionately listened validated by you in supportive, a non-judgmental way. The NNPCN offers you Bereavement training and each of our certified volunteers receives a binder with a suggestion for the structure, content and materials for the sessions you will facilitate. … and much more! The NNPCN gives you a wonderful atmosphere of mutual support and collaboration. We support our clients with our team-work, and we support one another as a team. Our Visiting Hospice Palliative Care volunteers are placed in hospitals, long term care facilities, retirement homes, and client’s homes according to their preference. The help of a volunteer often allows people to pass in the comfort of their home, surrounded by their loved ones. Our Bereavement and Grief volunteers are mainly placed at the North Bay Office, where we have a meeting room for Group Sessions and a smaller room for Individual Sessions. Our Bereavement and Grief volunteers are also present at several other communities and they conduct sessions in the appropriate settings available in the region. Our many other kinds of volunteers can be anywhere: expect to find them in the Office, at their own consulting space, organizing events in venues, at the waterfront during our Annual Live Butterfly Release, online from their homes, in their schools, and more. Rest assured that you will never be expected to do something you do not want to do. Patient care is not the only way to contribute. If you are interested in volunteering but don’t see yourself working with patients, the NNPCN will gladly find ways to use your unique talents. Or, if you have a volunteer idea in mind, call us and suggest it. We’d love to work with you. You can fill our online Volunteer Application Form right now. At the heart of the NNPCN, you find the best generous spirit of Nipissing and East Parry Sound Districts. Besides receiving free internal training with HPCO and at the NNPCN, our volunteers have the opportunity to attend a variety of training courses and conferences on Palliative Care and Bereavement topics. Monthly team meetings provide peer support, mentoring and ongoing education opportunities for all volunteers. We insist on self care for all our volunteers and offer many way for our volunteers to practice self care. We also practice an open-door policy, and pride ourselves on supporting our volunteers to ensure they feel happy and fulfilled.